Annie & the Hedonists interprets the songs of the great female blues artists of the ‘20s, 30s & 40s: Bessie Smith, Sippie Wallace, Memphis Minnie, Billie Holiday, Rosetta Tharpe, Blue Lu Barker, Ella Fitzgerald and others. Fronted by the captivating vocals of Annie Rosen, and backed by Peter Davis, (guitar, banjo, clarinet, piano, vocal), Jonny Rosen, (guitar, vocal) and Don Young, (bass, guitar, vocal), the ensemble's veteran players are each extremely accomplished in their own right. 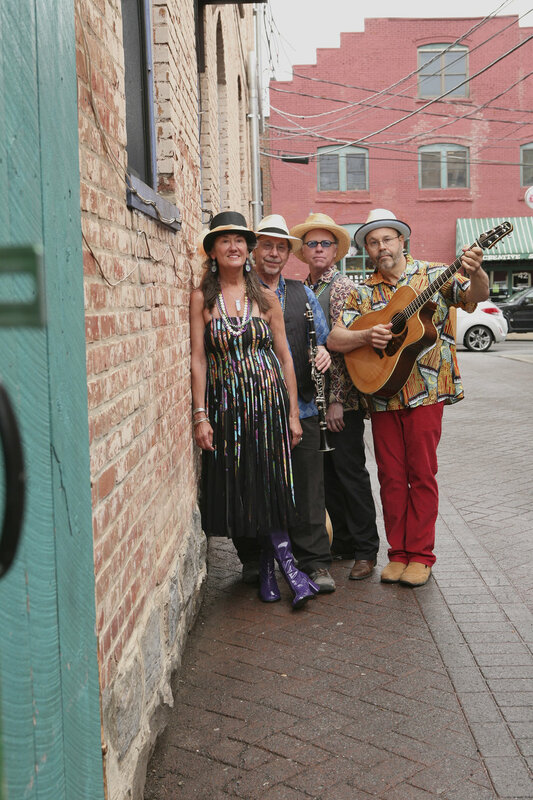 Annie & the Hedonists also offer workshops from ukulele styles to playing by ear to gospel harmonies and the band has packed clubs and coffee house across the northeast, from New York City to the Champlain Valley. Spirits of Old Bennington will be serving refreshments throughout the evening. Tickets: $15 advance/members, $20 at the door. Kids 12 and under are admitted free of charge! Call The Bennington Center for the Arts at 802-442-7158 to purchase tickets or click on the button below to order online. — Dave Ziemba, Artistic Director of the Clifton-Fine Concert Series, Wanakena, NY, 2017.